The gold mines completed their upgrade to level 8. All resource buildings are now level 8, so I decided to take the storages up to their max for TH5 (level 9) and work on army camps as well as another level of walls. I ran about 20 or so goblin/barbarian/archer raids over the course of an hour (boosted barracks) and generated enough resources to upgrade all walls to level 4 (1M gold); kick off the upgrade for the four storages (200k each, gold and elixir);Mick off the level 4 upgrade of two army camps (200k elixir and my last 85 gems blown by accident when I hit the wrong button...don't ask); AND completely fill my storages so I can upgrade archer and wizard towers tomorrow morning (550k of each). At this rate, I'll be starting the TH6 upgrade this weekend. My TH5 game is now nearly maxed. I still had two troop updates to run, one level of walls, and one level of army camp to upgrade, so I went ahead and started the TH upgrade this morning. Had an hour to kill this afternoon, so I went out and raided the resources to finish off the last upgrades (well...get them started at least). I figured, hey - if SC wanted to give me a gem box, the least I could do was use it to boost my barracks! I've run three or four hours of raiding with boosted barracks while at TH5, generating more than enough resources for all the upgrades. I've just been using equal amounts of goblins, archers, and barbarians for my army (sometimes with a few wallbreakers) and I am down in Silver Leagues (Silver II at the moment). I've found this or a simple gibarch to be very effective, even with a mere 120 troop space. I won’t be at TH6 for very long, but it’s important to enter TH6 with a well developed game so I can move quickly to TH7 (which is where the real game begins). Once the upgrade completes, the steps I'll use to rush TH6 are similar to previous steps I've mentioned. 1) Buy all new items - army, resources, defense. 2) Build a new base. 3) Upgrade offensive structures first and begin troop upgrades. 4) Upgrade all remaining items to the same level as their counterparts (so, upgrade them to TH5 max levels). As soon as I have my preferred raiding troops upgrade (usually Barbarians, Archers, Giants, and Wallbreakers), all offense is upgraded, and everything is at least at the same level as their existing counterparts (TH5 max), I will start the upgrade to TH7. While it is upgrading, I'll continue to work on getting defensive structures upgraded and raid like a mad man to fill those storages. TH6 upgrade will finally finish sometime tomorrow. Waiting for upgrades is the one thing I hate about this game; at least I timed this one a little better than the last...I've had the builders and lab working 100%. In the meantime, I decided to focus some more on my TH8/TH9 games. I've completed probably 150 or more raids across the three TH8 games this week, finishing off all of the spring traps and anything else that remained. One will remain behind to be maxed and stay as my long term TH8 game; the other is now upgrading to TH9 with a smattering of pink walls to upgrade to purple. 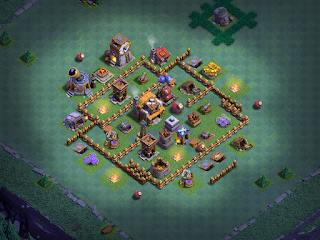 The third has a lot more walls and troops to upgrade so that one has a few more weeks to go before it can upgrade. I also pulled the trigger on upgrading my TH9 game to TH10. Everything maxed there but heroes and walls, which I will work on later. I'll get it to TH10, add everything new, upgrade it and key troops, them make the jump to TH11. TH10 doesn't seem to hold much value (like most other even numbered THs) so a rush is definitely in order. I never have placed much emphasis on walls, especially with all the wallbusters/jumpers in this game (EQ and jump spells, WBs, Hogs, GW, and now miners). The ridiculous cost of walls is a major put-off as well; I'd rather put that 3M gold/elixir into something else. I figure there will be time to focus more on walls come end of year when I have everything else maxed out. As mentioned earlier, I will probably move this to a blog instead of the forum. Getting tired of the toxicity here. I might post weekly summaries on the forum if there's an interest. Ok - I am now at TH6! Step 1, as mentioned - buy everything that is new. Right now I have a new mortar, wizard tower, air sweeper, and laboratory being built. The new gold mine and elixir collector are level 1 and I upgraded the 25 new walls to level 4. I also tossed the laboratory into upgrade as well. I will probably start the TH7 upgrade this weekend; it's a six day upgrade and I should only need about a week to hit the highlights at TH6. As I mentioned earlier, I will only be upgrading offense, and new items to the same level as their counterparts. TH7 is my catch up point where I'll max everything. Then I'll do the same at TH8nthat I am doing at TH6 and jump to TH9.